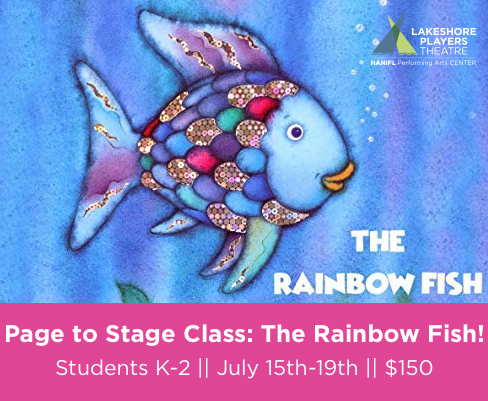 Join us for our first ever Page to Stage class where we will be taking this beloved story and exploring the tale through arts and crafts, movement, song, and acting! Come be a part of the fun this summer in an exciting week long camp geared toward actors grades Kindergarten through 2nd grade. Learn fun songs, make exciting arts and crafts, and act out this well known story as we explore different creative avenues! register for page to stage class! Attendance at one of the two audition days is mandatory. You may also call 651-426-3275 to register over the phone or stop by Lakeshore Players Theatre to register in person. Camp spots will be filled on a first-come, first-served basis, according to completed and paid registrations, until the cap of 20 students is reached. At that point a numbered waiting list will be created. Registration is considered complete once payment is submitted. Registration without payment cannot be guaranteed admittance. Limited financial assistance is available in the form of partial scholarships that will cover 50% of tuition. Please know, we will do our utmost to honor your request, but cannot always grant every scholarship request received. To request financial assistance, fill out this form online or download a scholarship form and include it with your registration. If a student withdraws before June 15th, a refund will be issued (less a $25 administration fee). No refunds after June 15th.